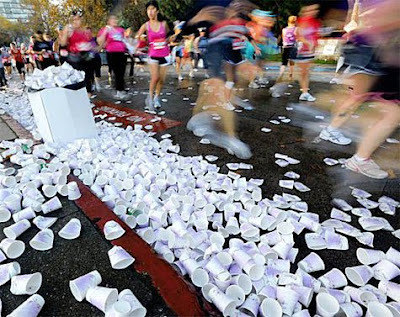 Used cups litter the street as runners pass a water station near Aquatic Park in San Francisco during yesterday's Nike Women's Marathon. Well, just had to say your 'site' is thoughtfully designed with the 'medium' grey background...and I do find the pastel type easier on the eyes...than white. Just imagine how many batteries are tossed into the garbage everyday.